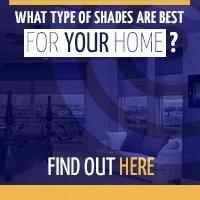 If you’re in the process of choosing roller shades, you’re probably enjoying sorting through colors and styles. But your biggest decision lies ahead – and it’s one that will affect your enjoyment of the shades for years to come. Choosing the right opacity level of your roller shade fabric is critical, for opacity is the degree to which light will filter through the fabric. 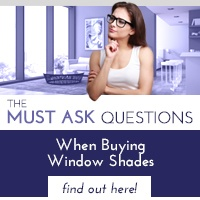 When you work side by side with a window shade expert from Polar Shades, he or she will take the time needed to educate you about your choices – and ensure you make a selection that will meet your needs during changing light conditions, your home’s orientation to the sun and, of course, your general preference for sunlight. You may have heard opacity expressed in one of two ways: with a percentage or an adjective. A fabric with 0 percent opacity means absolutely no light will pass through it. As the numbers increase, so does the amount of light that will show through the fabric. Generally, opacity levels are expressed in a range between 0 percent and 20 percent – meaning a fabric with a 20 percent opacity level will let a lot of light through it. Sheer roller shades will allow the greatest amount of light to enter a room. They also reduce some, though not much, glare. Sheer fabrics tend to give a room a light, open look – and particularly flatter sun rooms and naturally dark rooms that could benefit from some invigoration. Semi-sheer roller shades can diffuse light, but if privacy is a concern, they’re probably not the wisest choice. While it shouldn’t sway your decision, semi-sheer fabric is most people’s last choice because the process of considering opacity motivates them to come down firmly on the side of much more light or much less light. In this context, semi-sheer shades don’t always make a lasting impression. Semi-opaque roller shades allow some light to stream in a room while also providing a degree of privacy. While your view to the outdoors will be restricted, your room will not be dark, either. Opaque or room-darkening roller shades will darken a room considerably, but make no mistake: They will not block all light; some light will still seep in on the sides. Blackout roller shades do exactly as their name suggests – making them particularly well suited to media rooms. 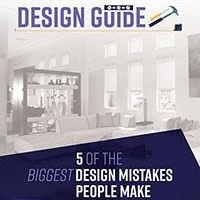 Understanding the terminology is one thing, but it’s no substitute for actually holding a fabric sample in your hands and seeing how it looks in your home. As difficult as it might be to put that color wheel down, when you make a free in-home consultation with a Polar Shades window expert, you can get this exciting process underway today. 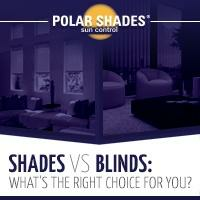 Call 702-260-6110 or stop by the showroom to see the multiple roller shade options Polar Shades provides.